Having a baby is a beautiful thing, but it brings along with it some uncomfortable side effects. (Worth it, of course, but they can still be distressing). Some symptoms, like nausea, disappear after Baby has made his or her grand entrance. But other symptoms, like stretch marks, are a lot more stubborn. (Stretch marks can also be caused by stress, ageing, or rapid weight gain or loss. However, the most common cause is pregnancy). While not dangerous, stretch marks do look unpleasant. Therefore, you might be searching for natural ways to get your skin back to its pre-baby state. Here are a few tips that you can try to help achieve the skin that you once took for granted. DISCLAIMER: Before trying any new product or ingredient on your skin, make sure to test it out on a small, unnoticeable area of your skin first to rule out allergy. Aloe Vera: Nature’s miracle plant. What can’t this incredible plant achieve? While some of its uses are more well-known, such as soothing burns and lowering blood pressure, other of its uses are overshadowed. Yes, like its ability to reduce stretch marks. 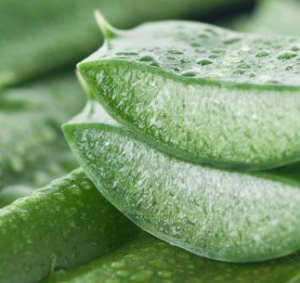 Aloe vera can help heal your stretch marks. There are masks that you can use for stretch marks made of aloe vera and other natural ingredients, such as coconut oil or honey. But aloe vera is so awesome, you can skip the extra ingredients and just use it on its own. To use aloe vera for stretch marks, extract the gel from an aloe vera leaf. Rub the gel directly into your mark. Leave it to dry, then gently wash with lukewarm water. That’s it! You’ll need to do this twice a day, and eventually, your marks should become less noticeable and clear up. Apply aloe vera gel as soon as you notice a stretch mark (when it’s still in its red stage). This is important, because the longer you wait, the harder it will be to get rid of. 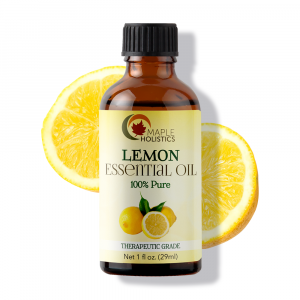 It’s not just for a sore throat; lemon juice can also do wonders for your stretch marks! There are divided opinions about its effectiveness. Still, being that it is so cheap and easy to use, it’s definitely worth a shot. 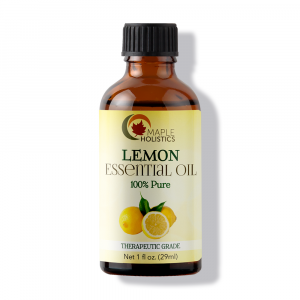 It’s best to exfoliate your skin before applying lemon juice, to remove any dead skin. Next, slice open a lemon and squeeze out the juice onto a cotton ball. Massage the juice gently into your marks using circular motions. You can choose to leave it on overnight, or you can wipe it off after ten minutes if necessary. 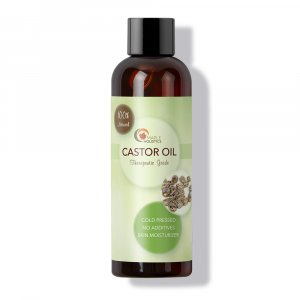 Castor oil for stretch marks. 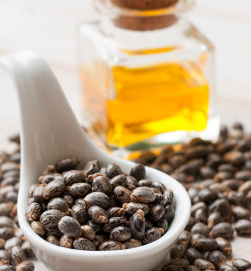 Known for its skin-enhancing effects, it was kinda obvious that castor oil would make the list as a remedy for treating stretch marks. 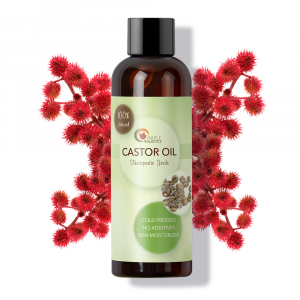 Simply heat up enough castor oil to cover your stretch marks until the oil is slightly warm. Massage it into your marks with circular motions and cover the area/s with a thin cotton cloth to help the oil absorb into your skin. Leave on for at least 15-30 minutes before rinsing it off with lukewarm water. While it isn’t clear exactly how often it’s necessary to do this procedure in order to heal stretch marks (since it depends on how early you treat them, how your skin will react etc. ), all opinions agree that this should be a routine practice until the stretch marks are gone. For some, this might be only 3-4 times a week, for others, it can be anywhere up to three times a day. The negative effects of sugar have been coming out of our ears ad nauseum. But while it might not be the best thing for your teeth, it does have its place fighting those stubborn stretch marks. Raw sugar has benefits for your skin. Sugar contains glycolic acid, which is used in many skincare products due to its small molecules which easily penetrate the skin and help it heal. 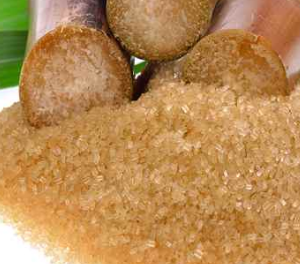 It’s best to use brown or raw sugar for stretch marks, as white processed sugar can be harsher on the skin. Combine sugar (you can start with 2 tablespoons, or use more if you have bigger marks) with enough water to make a paste. Mix until you have a smooth paste and massage your solution into the stretch marks. Leave on for about 5 minutes before rinsing it off. For optimal results, do this every second day until the marks have disappeared. Known as a terrific moisturizer because of its nourishing properties, cocoa butter is also said to be great for healing stretch marks. Massage about a tablespoon of cocoa butter into your marks twice a day. You should notice a reduction in the severity of your marks and generally healthier skin. Many of us prefer to go the natural route before applying chemicals to our bodies or undergoing expensive cosmetic procedures. Obviously, the ideal solution would be to take preventative measures to avoid winding up with unpleasant stretch marks. These include eating collagen-friendly foods (Vitamin C and E), keeping your skin hydrated by getting enough to drink, and getting enough exercise. However, if you do see a stretch mark, and it bothers you, make sure to act as soon as you see it. The more time that passes, the harder it is to remove. With these natural remedies, you can look forward to enjoying your newest addition very soon, while feeling comfortable with your body at the same time.